Police said Friday they were looking into allegations that Sohn Suk-hee, a well-known news anchor for cable channel JTBC, punched a freelance reporter earlier this month. 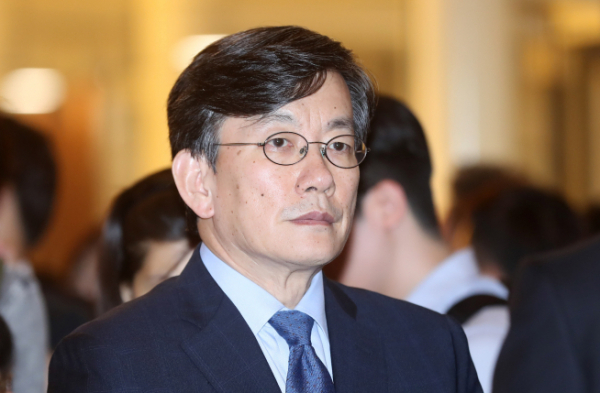 Sohn, who is a household name in Korea and also the chief of JTBC, denied accusations of assault at the beginning of his news show “News Room” on Thursday evening, and reported the reporter, surnamed Kim, to the police for blackmail. According to Kim, Sohn hit him twice during a dinner meeting earlier this month in Seoul after he rejected Sohn’s job offer. Kim added he has voice recordings of the conversation he had with Sohn that night. Sohn, on the other hand, claimed the freelance reporter had attempted to blackmail his way into a job at JTBC upon gaining knowledge about a minor car accident in 2017 in which Sohn was involved. Amid swirling rumors that a “young female” was sitting in the passenger seat at the time of Sohn’s 2017 accident, JTBC released a statement on Friday rejecting the rumors. “That a young woman was sitting in the passenger seat at the time of Sohn’s minor accident in April 2017 is clearly false. To prove this, we will submit evidence to the investigating authorities,“ the statement said. “It seems that Kim, the person in question, is trying to sway the case as to ‘put a blemish on Sohn Suk-hee,’ and obfuscate the true nature of the issue,” the statement said.